I know! It isn't Sunday, it is Tuesday. 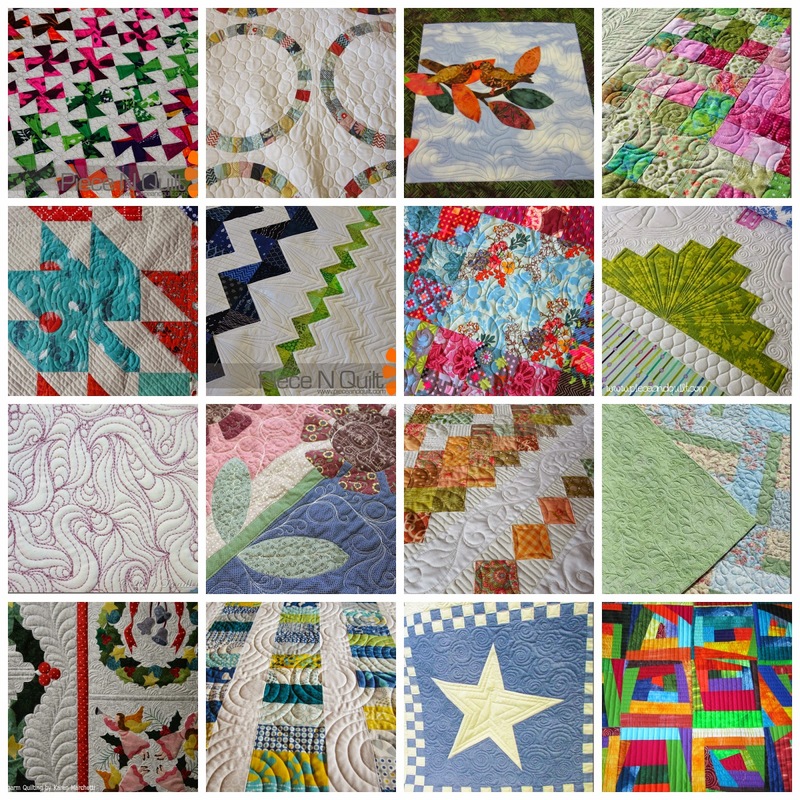 But between unpacking on Sunday from my trip, tackling the huge piles of laundry and a neighborhood Easter egg hunt on Sunday, I never got the chance to do this post and I didn't want you to miss out seeing all the beautiful quilting I saw recently while hopping around blogs. I have a TON of pictures to download off of my camera and share from MQX East and I'll be working on those posts throughout the week. Plus there are a few hundred thousand Kate Spain charms to sort and get in the mail. It is sure going to be one busy week. I can't believe you had the time to even do this...but THANK YOU!!! Looking forward to your future posts and what ya learned...happy day! Enjoy Easter with the little ones. Sunday/Tuesday....they all run together, don't they. I love seeing all of the stitching.